Black Panther is going to be huge. It has already sold more advance tickets on its first day than any movie in Marvel history. The soundtrack, which is being produced and curated by Kendrick Lamar and TDE, is also poised to be a smash. Kendrick leaked the soundtrack's tracklist today on Twitter. 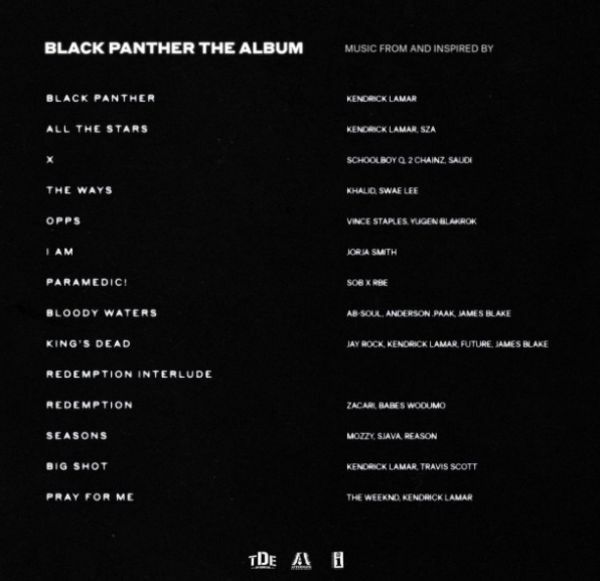 In addition to K.Dot and his TDE friends, there are tracks from 2 Chainz, Swae Lee, Travis Scott, Khalid, Future, James Blake, Mozzy, Vince Staples and more. Black Panther drops on February 16th, and its soundtrack will hit one week earlier, on February 9th.